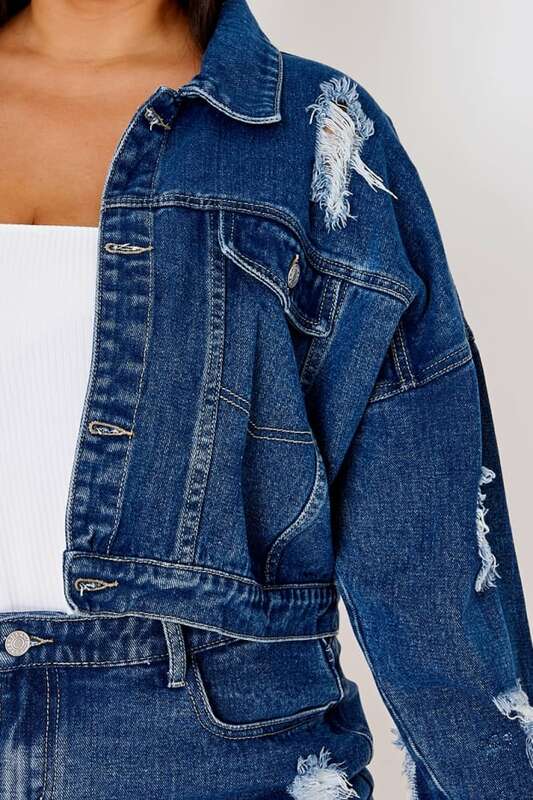 It's all about denim this season! 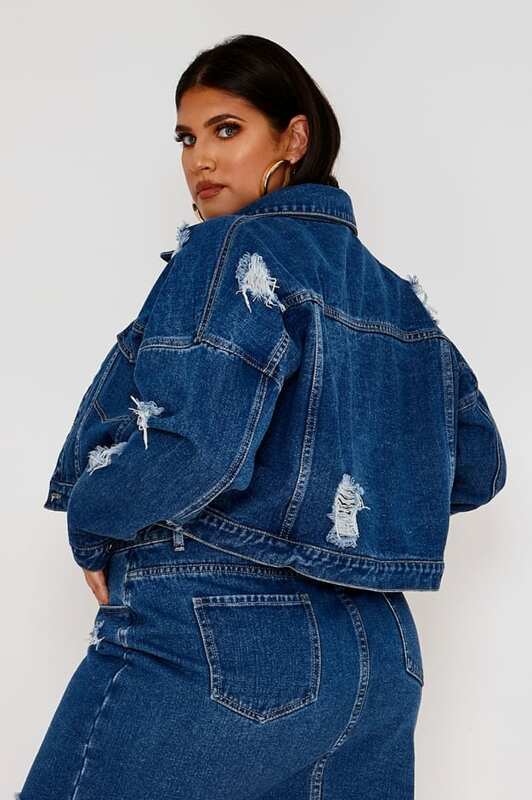 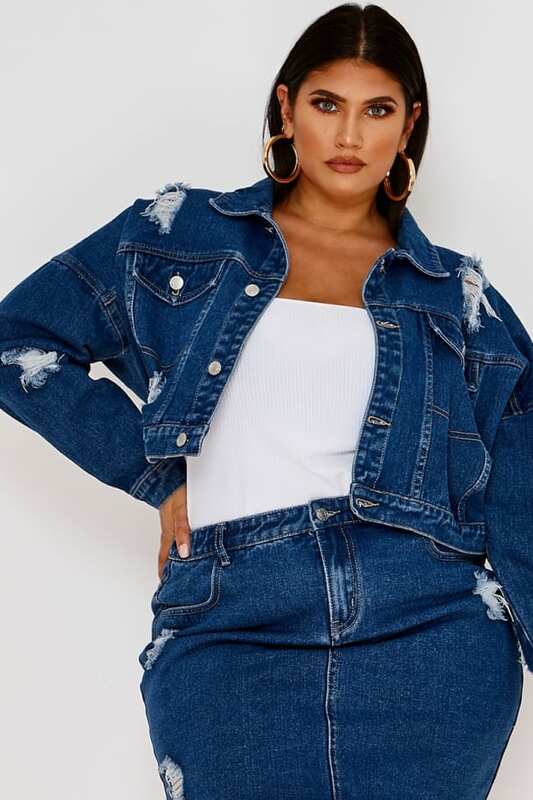 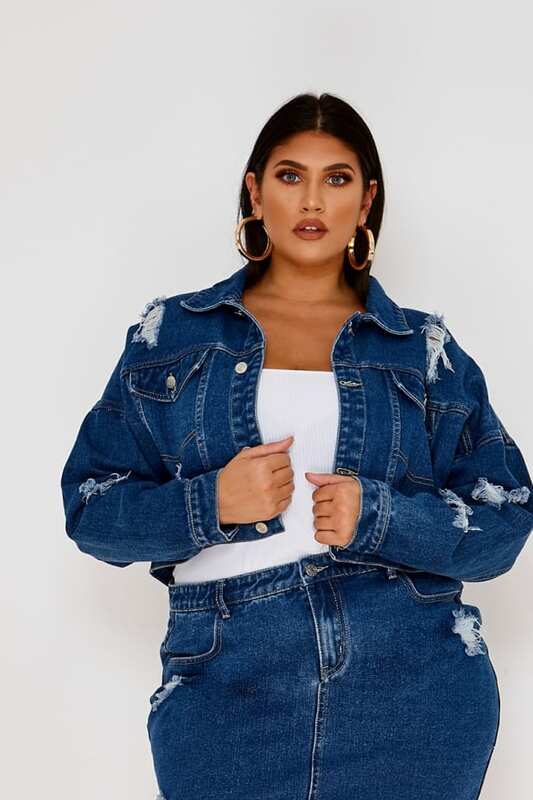 Featuring cool distressed detail and cropped length this sassy denim jacket from Latecia's new collection is guaranteed to score you triple style points! 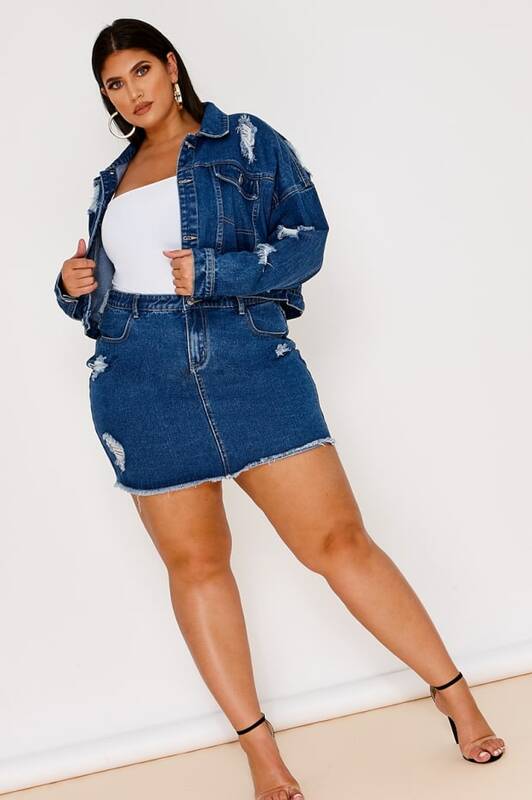 Style with the matching skirt and heels for an unreal look.